Pippa Small never holds back when wearing jewelry - the designer's Instagram shows her generously stacking and layering the vibrant pieces. 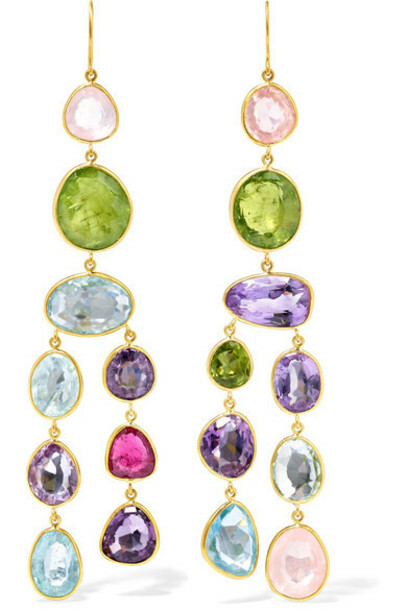 An easy way to channel the look, these shoulder-grazing earrings are handmade from 18-karat gold with a colorful arrangement of rose quartz, pink tourmaline, peridot, aquamarine, amethyst and garnet. Their dramatic chandelier shape will really stand out at your next big event.